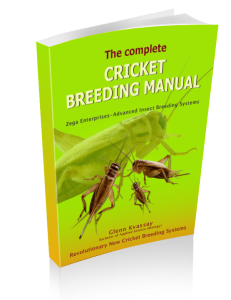 This cockroach breeding manual is the most comprehensive available at 100 pages and includes over 145 color photos, diagrams and tables. It shows you how to build all components with “Step by Step” instructions. Many people breed cockroaches successfully, however many people still struggle to maintain a messy cleaning routine, odors and containing these unruly critters…With improved propriety methods you can breed cockroaches with less effort, smells and fewer escapees. We also include complimentary email and video support (Skype or Facebook live). Many people breed cockroaches successfully, however many people still struggle to maintain a messy cleaning routine, odors and containing these unruly critters… Just ask our partners!! 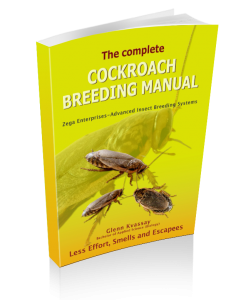 With improved methods you can breed cockroaches with less effort, smells and fewer escapees. No matter your skill level, our commercial techniques will improve your efficiency and move you well past the “place a bowl of vegetables and toilet roles in a fish tank” stage. 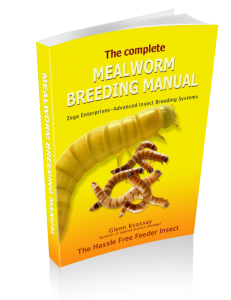 For a small one-off investment, you will be armed with numerous techniques that will fast track successful cockroach breeding. This will save you thousands of dollars, and hundreds of hours in wasteful and painful experimentation. Breeding crickets and cockroaches used similar containers and components so if you want both species have a look at our Insect Combo Deal. You could breed all the crickets and cockroaches you desire, guilt free! !